A collection of telegraphy equipment used by the Postmaster General’s Department of between 1901 and 1937. The collection consists of sounds keys, resistance boxes, a telegraph inker and press clippings. 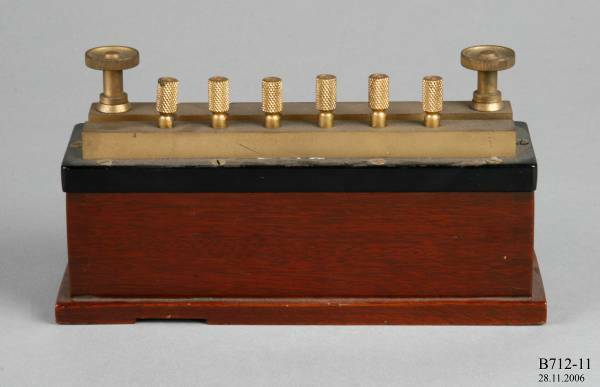 The telegraph system worked by having an operator tap out code on an electric switch called a ‘key’, which sent pulses of electricity from a battery along the telegraph wire. The pulses were either short or long, representing the dots and dashes of Morse code. 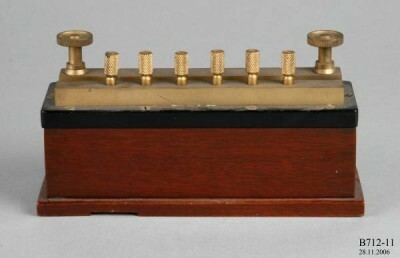 By 1860 England was connected to most of the world by overland and submarine telegraph. Government and businesses in London could contact South East Asia in a day and get a reply with 24 hours. 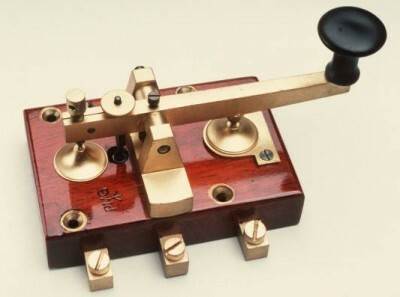 Australia and New Zealand were yet to be connected by the new wonder of the telegraph and remained cut off from the rest of the world. The Australian colonies were exploring ways of getting connected to the world. By 1855 possible routes for the connection of Australia to the new telegraph cable in Java were being explored. The cable routes options were Ceylon to Albany in Western Australia or from Java down the east coast or across the centre of Australia to Adelaide. Competition between the South Australian and Victorian colonies over the route was fierce. The South Australian Government offered a reward of 2000 for the construction of an overland telegraph in 1859. The leader of the South Australian expedition was John McDouall Stuart who migrated from Scotland in 1838. Stuart was a well established explorer. In 844 he had trekked inland with Charles Sturt and in 1858 – 59 he explored areas of South Australia near Port Pirie. Victoria’s expedition was led by Robert O’Hara Burke who migrated from Ireland in 1853. Burke was a police inspector who had no bush skills or experience except for the colonial spirit of adventure. The other expedition leader was doctor and surveyor John Wills. The Burke and Wills expedition perished in the desert in 1861. Stuart made the journey from Adelaide to present day Darwin in October 1861 after two failed attempts. 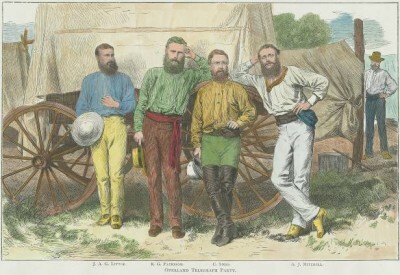 The journey took a heavy toll on the expedition with Stuart severely emaciated and nearly blind on their arrival in Adelaide on 26 October 1861. Stuart won the reward. The South Australian government decided to go ahead and pay for the entire construction a 3200km of telegraph line from Port Augusta to Darwin in 1870. The British-Australian Telegraph Company agreed to lay the submarine cable from Java to Darwin to connect it to the world. The South Australian Superintendent of Telegraphs, Charles Todd, was appointed head of the project. Todd had experience having built South Australia’s first telegraph line to Melbourne. The contract stipulated a total cost of no more than ₤128,000 and two years’ construction time. He divided the route into three regions: northern and southern sections to be handled by private contractors, and a central section which would be constructed by his own department. The telegraph line would be made from more than 30,000 wrought iron poles, insulators, batteries, wire and telegraph equipment imported from England. The poles were placed 80m apart and repeater stations built every 250 km. Todd assembled a team of surveyors, linesmen, carpenters, labourers and cooks equipped with horses, bullocks and provisions and equipment to sustain them many weeks. The poles were carted in by Afghan cameleers. The central section would be surveyed by the explorer John Ross. Contractors William Dalwood and Joseph Derwent arrived in Darwin on board the SS Omeo with eighty men and equipment required to construct the Northern section of the line from Darwin to Tennant Creek. The southern section from Port Augusta to Alberga Creek was contracted to Edward Meade Bagot. The northern line progressed well until the monsoon wet season in November 1870. Heavy rain waterlogged the ground and made it impossible for work to continue. After weeks of strikes and arguments with the contractors the northern section contract was cancelled. The South Australian government had to construct an extra 700km of line placing considerable stress on its resources. As the central and southern sections neared completion, the overseer Patterson divided the project into four sub-sections with the majority of the men on the most northerly section. If the construction deadline of 31 December was missed, then the gap could be filled by using the pony express. The laying of the submarine cable was finished earlier than expected reaching Darwin on 18 November 1871 and being connected the following day. Because of the problems still facing the northern section, the Queensland Superintendent of Telegraphs called for the abandonment of the project, but work went on nevertheless. By the end of the year there was still over 300km of line to be constructed. During this time Todd began testing the line. The test message he sent along the incomplete line on 22 May 1872 took 9 days to reach Adelaide. Eleven repeater stations were built and they were invaluable communication bases. Using the Morse key, operators at the stations were able to communicate with the world 24 hours a day—in 1872 it took seven hours to send a message from Adelaide to England. The Overland Telegraph proved an instant success with over 4000 telegrams transmitted in the first year. Maintenance was an ongoing and substantial operation, with Aborigines, floods and bushfires destroying poles and insulators. The inland Aboriginal people found the glass insulators an excellent source of flint like material for spear making and destroyed many of the poles to get at them. The staff at the repeater stations shooed off the Aborigines which led to frontier conflict. On 22 September, 1874 Aborigines attacked the repeater station at Barrow Creek killing two operators. A mob led local policeman Samuel Gason led a reprisal attack. These raids grew frequent resulting in many reprisals that have remained un-investigated. Around 1871 a second submarine cable connected Java with an overland line from Perth to Roebuck Bay thus increasing communications capacity. The final stage of connecting Australia to the world was started in 1875 when the Western Australian and South Australian governments agreed to build the telegraph line across the Nullarbor Plain. This was completed in 1877. In early 1876 the laying of a submarine telegraph cable between Australia and New Zealand was completed by the Eastern Extension Australasia and China Telegraph Company Ltd. 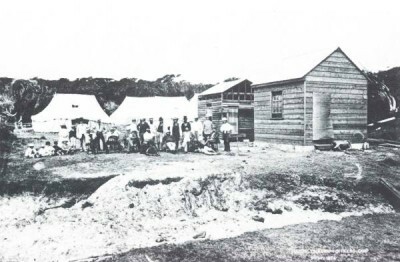 The cable came ashore at Frenchmans Beach and telecommunications commenced on 21 February 1876. In 1882 the Cable Station was completed replacing nearby temporary wooden huts. Designed by Colonial Architect James Barnett, the Cable Station was used for telecommunications, training and accommodation until 1917. By 1903 the telegraph service had been transferred to nearby Yarra Bay House. In 1917 the company moved the entire cable landing site to Bondi Beach and closed the La Perouse Cable Station. The colonies shared the cost of maintaining the Overland Telegraph and ran it jointly. 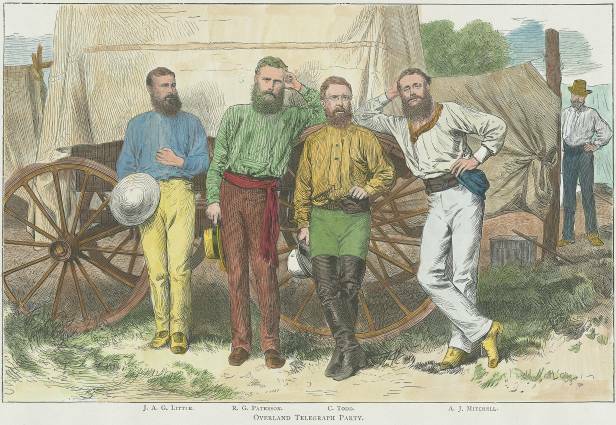 Along with immigration, defence and customs duties, the joint operation of the overland telegraph was one of the impetuses behind Federation in 1901. After 1901, the colonial mail services were merged into the Commonwealth Postmaster General’s Department. 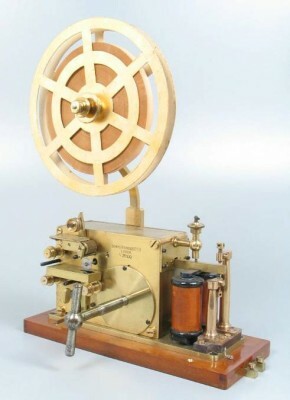 The PMG was responsible for all of Australia’s telegraph and domestic telephone operations as well as postal mail. Jones K, Mellefont J, Sedgwick S, & Thompson S, Navigating Federation, feature article, Signals, No 53. Australian Nation Maritime Museum January 2001, pp: 4-7. Thompson S, For a Colonial and Adventurous Spirit: Migration, Settlement and Federation on the Murray Darling Rivers, Migration Heritage Centre, Sydney, 2010. Thompson S, Lapérouse Museum booklet, Department of Environment & Conservation, Sydney, 2002.